A well-known eatery has found a new home in the lower level dining block of Memorial Union. 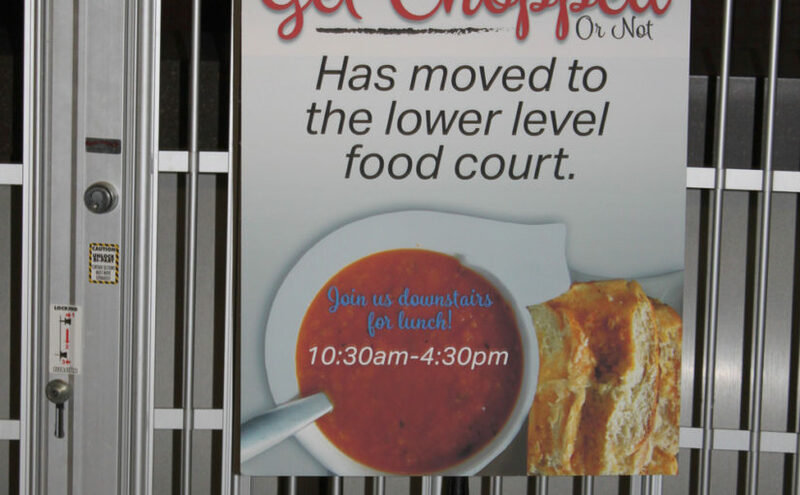 Get Chopped or Not, a specialty salad shop formerly located on the main level of MU, has moved to the east end of the lower level. The restaurant has replaced the bakery that formerly occupied the east end of the block, known as the NDSU Union Bake Shop. The NDSU Union Bake Shop was added in the later part of the 2015-16 school year. Preceding the bakery was a streak of Tex-Mex chains, including Taco John’s, Taco Bell and Taco Shop. The NDSU Union Bake Shop was an alternative to such Mexican fast-food franchises, to serve as a placeholder while dining services conducted surveys in hopes of determining what the student body is looking for in a Mexican restaurant before adding yet another culinary casualty to the list. The Spectrum was unable to interview Darren Peterson, director of dining services at NDSU, regarding the move of the restaurant. Get Chopped or Not is currently open for business in the MU.